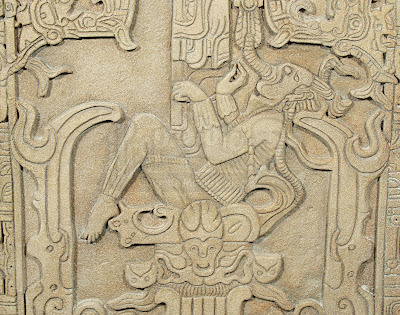 NOTE WELL, this is not the real Pakal Votan tomb lid! 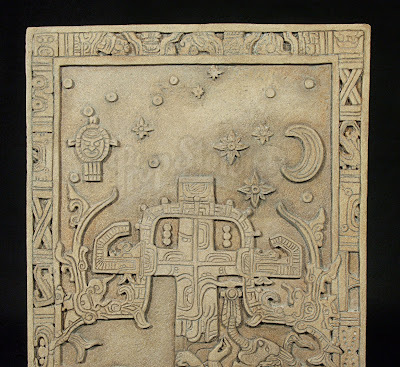 One of the tablets that displays the star pattern shown in Prometheus is based on the Sarcophagus Lid of the Tomb of Pakal Votan which is thought by many ancient astronaut theorists to depict an astronaut in a rocket ship cockpit. 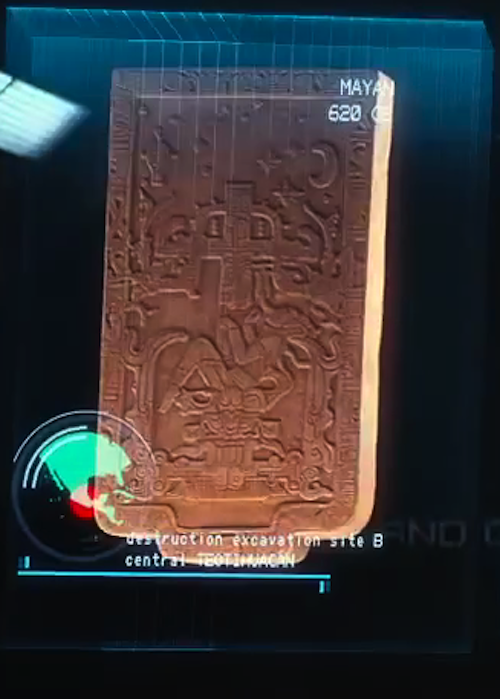 As a viewer initially taking an interest in the trailer as it is found on line, this tablet is suddenly recognisable, one can see the details and what they have changed to make it fit into their story. One could say that it is unfair to take too much notice of it because it's only seen briefly at the side of the shot in the trailer, but for a fan of the Alien series who knows something about the Ancient Astronauts concept being introduced to the trailer with the ability to halt it wherever he wants, there are further questions to ask about it. In the film itself as it is seen on the big cinema screen it might be something really hardly noticeable and whatever is to be found in the mockup of a tablet isn't to be taken too seriously. 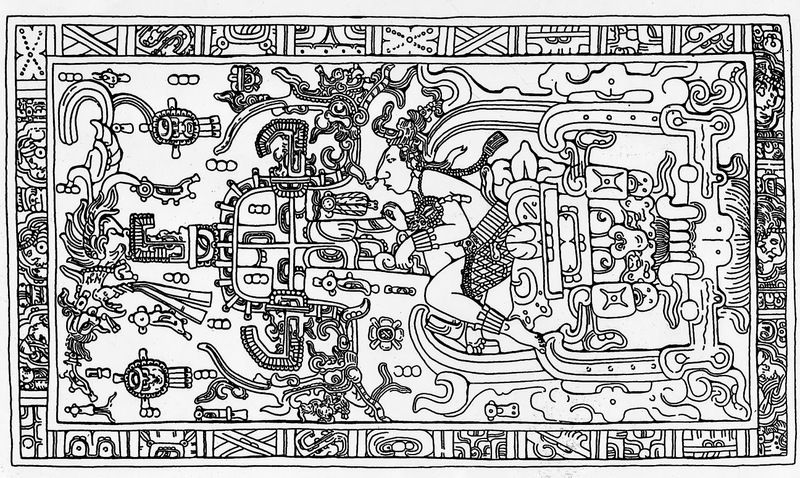 The replica shows a slightly altered replica of the sarcophagus lid , the man in the image now has a breathing pipe instead of the part of the image that is less easily imaginable as breathing apparatus and the Mayan depiction of the sky has been taken away and replaced with a very non-Mayan sky depicting the group of stars that in some of the images from archeological digs from around the world which show pictograms roughly match up with the star map seen and drawn by Betty Hill and indeed this starmap configuration becomes an issue at the beginning of Prometheus. However to point out the star pattern on this image would require some guess work. 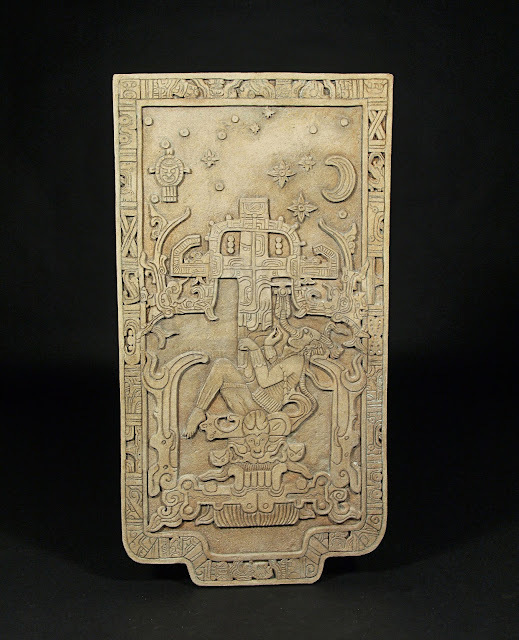 The lower section of the tablet features a large reclined person with an iconic ‘space jockey’ head, very similar to that seen of the engineer in the later stages of the film. 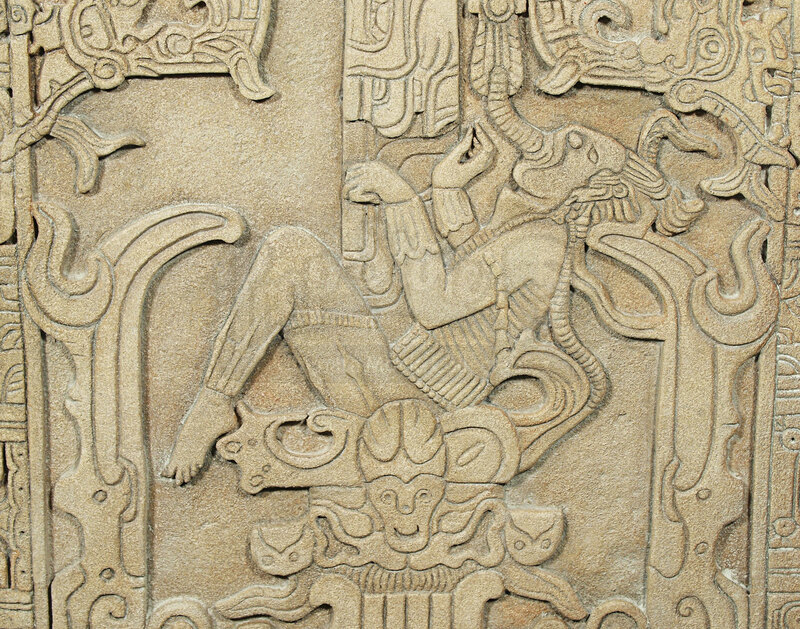 The entire tablet is bordered with symbol etchings and patterning. 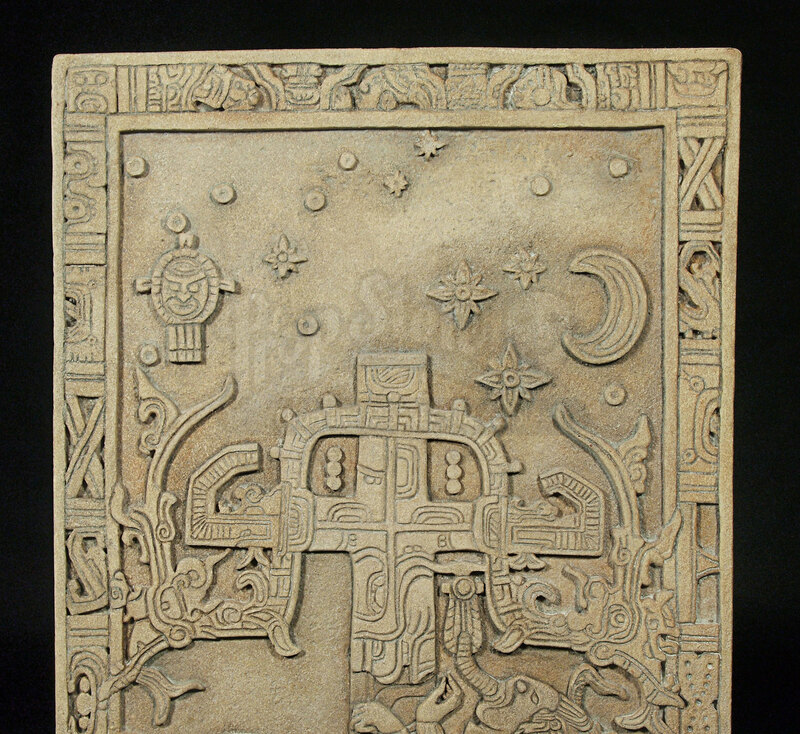 The characteristic ‘star map’ which is analysed during the film, can be seen on the top section of the tablet. This large prop is made from a biscuit foam cast which has had a hard resin skin applied on the outside. The mould has been carved, painted and detailed in a grey wash stone effect, then chipped to give an aged appearance. It has been moulded to mount on top of a green screen pole although this is no longer attached. The green screen pole would have been edited out to give the tablet a suspended appearance when used in the production. This iconic tablet is in fantastic production used condition and measures 75cm x 42cm x 11cm (29.5” x 16.5” x 4.5").